While everyone in Taiwan is talking about the brain drain, the whole world is vying to attract talent, and if better opportunities await elsewhere, why wouldn’t they choose to leave? And why can’t Taiwan recruit and retain professional talent? A recent article with a headline blaring “Wages ⅓ of Other Countries! Top Biz School’s Global Recruitment Strikes Out,” sent tremors through local academia and went viral over the Internet. Looking through official statistics from the Ministry of Education, over 1,000 new professors were hired across Taiwan in 2012. However, by 2016 that number had shrunk to less than 700 new hires, a dropping of over 30 percent. The number of foreign nationals hired for the first time as assistant professors similarly declined, from 50 in 2012 to 38 in 2016. Still, some professors have opted to stay in Taiwan in spite of tempting offers of high salaries abroad. In the face of aggressive monetary enticements from China, professors Yuei-An Liou of National Central University’s Center for Space and Remote Sensing Research, and Adrian Rauchfleisch, assistant professor of the Graduate of Institute of Journalism at National Taiwan University, both agree that Taiwan suffers from its inability to communicate its greatest advantages - freedom and democracy. Liou’s specialty is remote satellite sensing combined with atmospheric science, specifically as related to global warming. A fellow of the Russian Federation’s Prokhorov Academy of Engineering Sciences, Professor Liou combines remote satellite sensing information and on-location records to survey the rate of glacial melting and monitor the magnitude of related threats. He has conducted dysentery prevention research in Southeast Asia, and investigated melting ice and its relationship to global warming at the South Pole. As an accomplished scholar in remote sensing, atmospheric science, and dysentery prevention, he is accustomed to being recruited for teaching positions and receiving invitations from various institutions to work as a visiting professor. Several years ago, Liou received an offer from a Chinese “985 Project” level university, one of China’s top 39 sponsored universities, which cut right to the chase about the numbers. In addition to 30 million Rmb (NT$150 million) in salary and research expenses over a five-year period, it included the enticement of a one-million Rmb (around NT$5 million) signing bonus. Growing up in a family of farmers, Liou’s family had to sell off ancestral property to raise enough money for his graduate tuition in the United States. Fortunately, scholarships lowered the economic burden, and he earned a Masters in Atmospheric and Space Sciences in 1994 and a double PhD in Electrical Engineering and Atmospheric, Oceanic and Space Sciences from the University of Michigan in 1996. Degrees in hand, he was approached by a senior advisor to NASA, but Liou had his mind set on returning to Taiwan. “I wanted to contribute what I had learned. I suppose I am driven by a sense of mission towards Taiwan,” he says. Twenty years ago, even a post-doc’s salary in the U.S. was higher than that of a professor in Taiwan. Liou’s wife resigned from her job in the U.S. to take a position for half the pay in Taiwan, yet he has no regrets. Liou has proven that, by achieving a high level of scholarship and being active in the international arena since returning to Taiwan, his laboratory can attract scholars from around the world seeking knowledge. This year alone, the lab has seen visits by scholars from Tunisia, Canada, Japan, Spain, and China. The attraction of a high salary in China does not bother Liou. He explains that Taiwan has more top talent in the astronautics and remote sensing fields than China, and that China is relatively lacking in remote satellite sensing experts. Still, a few experts from related fields have been lured away from Taiwan. Still, that Taiwanese wages lack competitiveness is an ironclad fact. Even taken as a whole, with the last-ditch efforts of the Yushan Scholar Program or discretionary salaries, wages that have been stagnant for 20 years in Taiwan are no match for the terms offered in China. “Just think how many Taiwanese could be bought with NT$150 million. How many could resist the temptation? So many professors who have gone over to China have told me that they have more money than they can spend,” remarks Liou, adding that he has often been asked when leading students at international academic conferences if he would like to take a teaching position in China. From the Chinese Academy of Sciences to universities, academic and research institutions are pulling out all the stops in the effort to recruit talent. Asked why NT$150 million on the table could not persuade him to go, Liou responds, “The first thing that came to mind was Taiwan’s democracy and academic freedom. The two systems are extremely far apart. Democratic values are Taiwan’s true advantage,” says Liou. Liou believes that, although his field of expertise in science and engineering is unrelated to the social sciences, the issue is that the way Chinese universities operate cannot be divorced from the political system. “When you go, you take everything over there with you! You can’t say things like universities are unrelated to politics. Can university operations be separated from politics? Plus, factors like different values and cultural differences also exist,” Liou says. Academic freedom aside, the aerospace and remote satellite sensing fields are considered highly sensitive fields closely related to national security. This is another reason that scholars in related fields are reluctant to move over to China. Chao Yei-Chin, distinguished professor in the Department of Aeronautics and Astronautics at National Cheng Kung University, explains that remote astronautics sensing is integrally tied into national defense, so all participants in national programs must sign confidentiality agreements. Every country has developed its own respective system and structure, with strict controls, and foreign nationals have come up against the glass ceiling in the past. Consequently, despite higher technical advancement than most academic fields, it offers limited room for development. Despite the enticement of high pay, Liou has opted to stay in Taiwan due to its academic freedom. Adrian Rauchfleisch, the first foreign professor hired by the Graduate of Institute of Journalism at National Taiwan University since the institute’s founding, agrees. Rauchfleisch is a Swiss scholar of German descent. Upon receiving his Doctorate in communications and media studies at the University of Zurich, he received offers to work at universities in the Netherlands, China, Singapore, and Hong Kong, yet Rauchfleisch chose Taiwan. 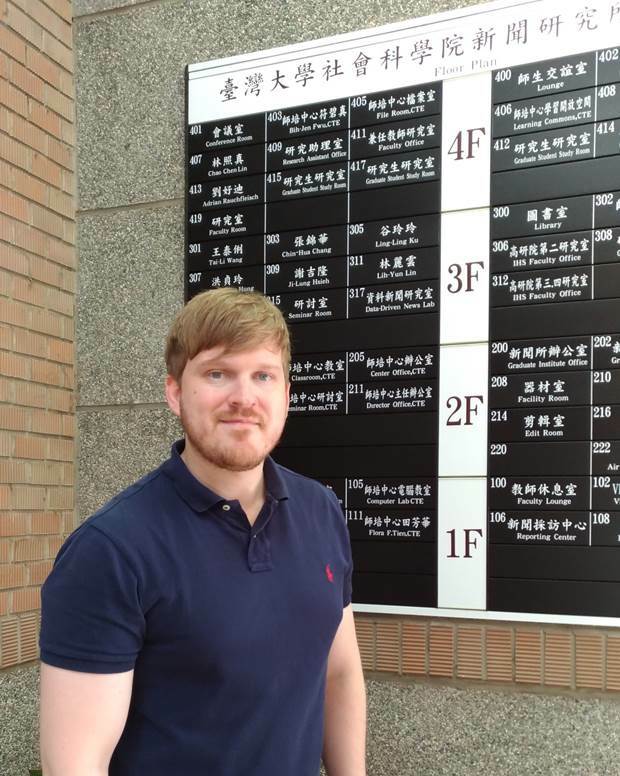 Having worked and interned in Malaysia and Shanghai, Rauchfleisch is no stranger to Asia, and given his academic research related to Asian media, he became interested in working in an Asian country. For him, life in Taipei offers greater convenience than major cities in other countries. Beyond quality of life, as a springboard for research on cross-strait social-political relations, Taiwan is an ideal place from which to observe China and all of Asia, as academic thinking here is not restricted. Even though Rauchfleisch balked over wages, he ultimately determined that Taiwan was his best choice. “In my field of social science research, I would certainly be subject to restrictions in China, and the same goes for Hong Kong and Singapore,” he says. Taiwan is geographically close to China, with numerous scholars studying cross-strait politics and society, facilitating cross-discipline exchange. Still, he admits initial shock at the salary level. “When I was in Taiwan for my interview and saw the pay level, I couldn’t believe how low it was!” he says. He subsequently learned that in addition to salary, NTU professors receive housing rental stipends, while rent for university housing is cheap, and each position gets extra research allowances. Taken as a whole, the difference from that of Europe is not that large. Taiwan’s greatest disadvantage is its inability to promote its strengths, says Rauchfleisch, adding that cross-disciplinary exchange flourishes more at NTU than at the University of Zurich or other European and Asian universities at which he has participated. Plus, it is even freer in Taiwan, and foreign scholars should know about these niches. “I only found out about these advantages after coming here,” he says. 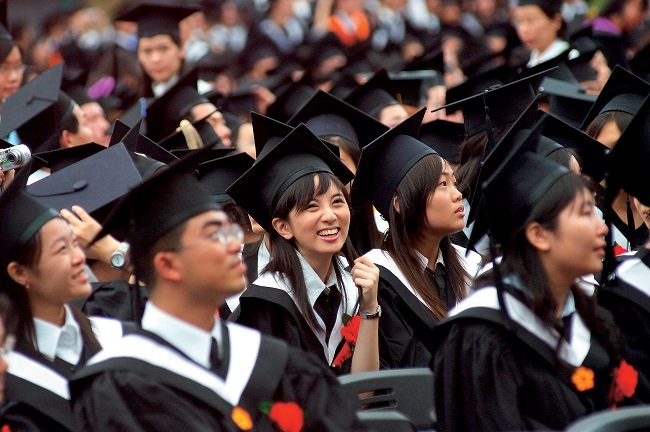 Every so often, there is a new wave of discussion on the Taiwanese brain drain. The government has introduced a series of talent recruitment and retention policies, such as the Yushan Scholar and Yushan Young Scholar programs, that offer as much as an additional NT$5 million per year, three years at a time. Further, the Ministry of Education has raised public university professor research grants by 10 percent with the aim of retaining professors. Meanwhile, the Ministry of Science and Technology has similarly unveiled Einstein and Columbus programs to help cultivate young scholars. However, according to Liou, the main issue apart from wages is the emphasis on recruitment rather than retention. Recruiting while overlooking efforts to keep those that want to stay in Taiwan, along with fickle government policy, diminishes professors’ confidence in the government.